“Requiem for the American Dream” (73 minutes; 2015) is a documentary film by Peter Hutchison, Kelly Nyks, and Jared P. Scott, based entirely on interviews that the filmmakers conducted with Noam Chomsky, the well-known linguist and political commentator, over a period of four years—along with some historical footage and cool animations. 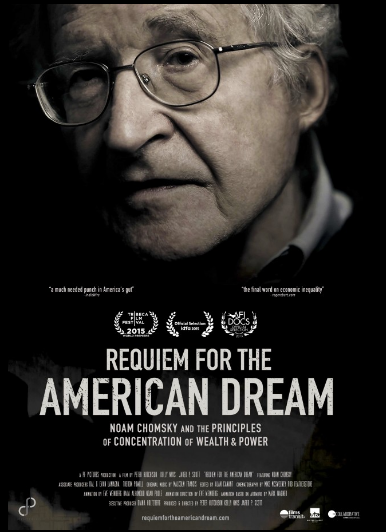 According to its official storyline, the film is supposed to be “the definitive discourse with Noam Chomsky,” intended to illuminate the processes and mechanisms that are responsible for creating and maintaining an unprecedented “concentration of wealth and power in the hands of a select few” in the United States. The premises of the documentary are fairly straightforward: (1) income inequality has been a long-standing feature of American society, but (2) it has become increasingly worse since the 1970s, which is due to (3) a massive concentration of wealth in a tiny segment of the population, since (4) under capitalism, most of the income comes from wealth. Given these premises, which are easy to establish empirically, the question arises: How did we end up in this situation? What are the processes and mechanisms through which our present state of unprecedented inequality has come about? 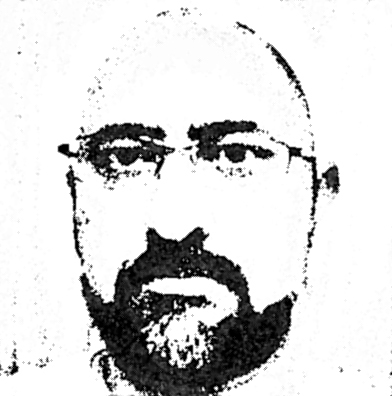 This is precisely the question that the film seeks to answer. The question has more than academic significance, since no attempt to reverse the trend towards inequality can be successful if it doesn’t take into account the forces responsible for causing and maintaining it in the first place. If you are already familiar with Chomsky’s political ideas through his countless speeches, interviews, essays, and books, you won’t find a lot of fresh material in “Requiem.” If you are new to Chomsky, however, the film will introduce you to a whole new way of looking at and making sense of the world. But even if you belong to the former group, the potential benefit of this documentary cannot be overstated. The value of the film does not necessarily lie in what Chomsky has to say—he has been saying the same things for a long time—but in how his various ideas have been organized by the filmmakers. What makes “Requiem” worth watching, even for long-time Chomsky fans, is the way in which the filmmakers have selected just the right snippets from the vast amount of interview footage, and the way in which they have put those snippets together under specific categories. The result is a rich and insightful description of the complex processes and mechanisms responsible for the concentration of wealth and power—all in the relatively easy-to-digest form of ten principles. Taken together, these ten principles reveal the highly consequential, but normally hidden, social machinery that continuously enriches the 1% to the detriment of the 99%. It is this social machinery that many people tend to blame as the main cause of their misery—the much despised but poorly understood set of processes and mechanisms that we call “the system.” The social machinery responsible for making the rich richer and the poor poorer is easy to grasp with the help of a competent teacher, which is the role Chomsky plays in the film, but is hard to understand otherwise, partly due to the fog of obfuscation produced by the same machinery. Perhaps the most fascinating thing about “the system” is that it functions right before our eyes and in broad daylight—there is no conspiracy by the Illuminati or another secretive group of elites—but somehow still manages to confuse and mystify its victims on a staggering scale. It hides in plain sight, which is both its strength as well as its main weakness; for once the curtain has been raised and you’ve seen the knobs and dials, there is no going back.